NBA League Pass - The ultimate way to watch the NBA Finals at home - All Chucked Up! 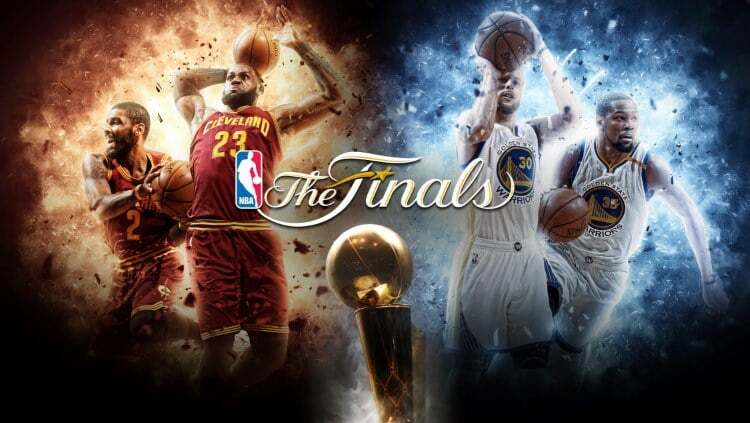 I’m sure many of us continue to remain glued to the NBA Finals, closely following the events as they unfold. And since basketball is such a big part of our culture as Filipinos, it is no wonder that when the Finals come around, we are always on the lookout, searching for the best place to catch the game. Some people actually head out to sports bars to enjoy the games in HD, but that would mean waking up and heading out early since live games here in the Philippines are broadcast in the morning. Some people would rather settle for free TV at home which, more often than not, is on a delayed telecast. Boo! 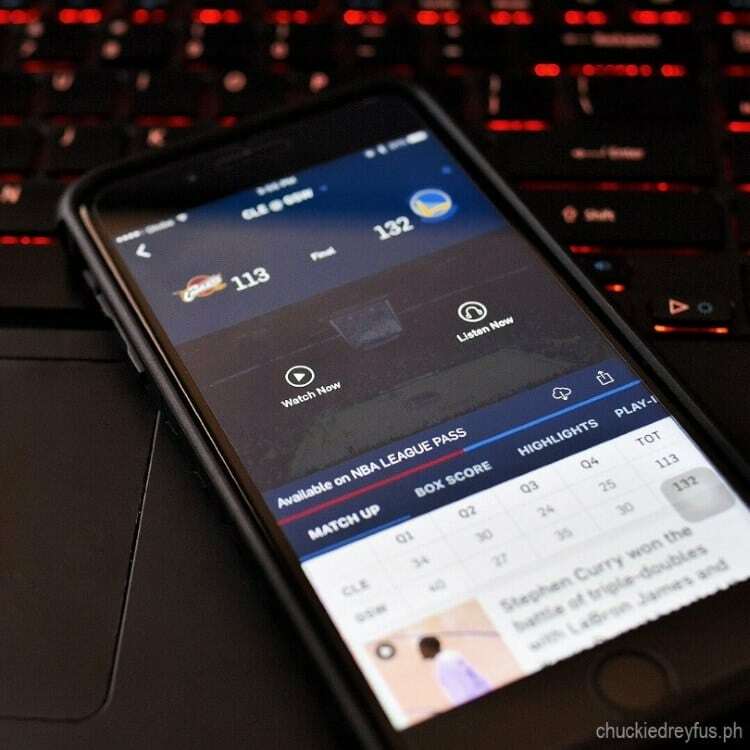 If you’ve been following me on social media and here on my blog, you probably already know that my favorite way to watch the NBA games (regular season and the playoffs) is with NBA LEAGUE PASS and my Globe at Home broadband subscription! I swear… this service is a godsend. As an NBA fan, I love it so much that I cannot live without it. Just imagine, with NBA LEAGUE PASS, not only do I enjoy the NBA games in full HD (High Definition) glory. I can watch the games, including the Finals, anytime I want. In fact, I can even watch previous matches again and again and again until my eyes pop out. Hahaha! 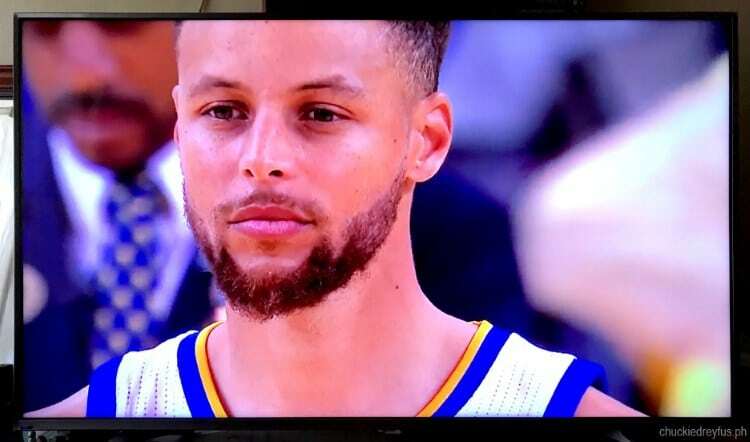 And oh, just so you know… NBA LEAGUE PASS, when casted to my wide screen UHD TV, is actually waaaaaay more clearer than the NBA Premium HD channel on cable TV. I kid you not, folks. It’s the bomb! So, you wanna watch the NBA games via NBA LEAGUE PASS from now on? Good for you. For those who want to watch the NBA Finals in the comfort of their own homes (Like me! 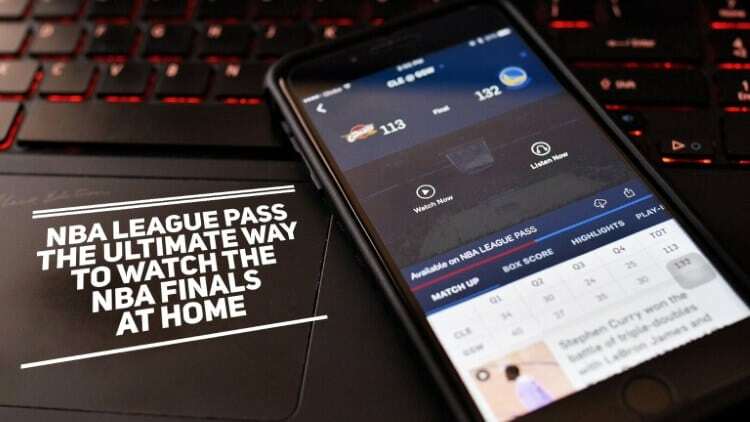 ), Globe at Home is offering customers the chance to watch it with the NBA LEAGUE PASS, a subscription service that allows access to live NBA games, complete with multi-game views and high-definition quality. Availing of the NBA LEAGUE PASS service is much easier than you think! There are actually three easy steps in availing the promo code and enjoying the game right when it happens. 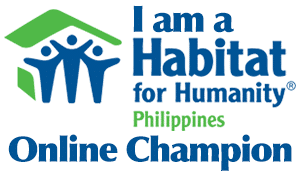 Step 1: Go to Globe Broadband NBA Promo Codes and register your name, birthday, and email address (info must be the same as the application form details). 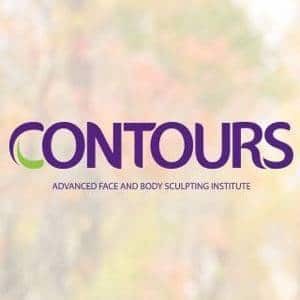 The promo code will be sent to you within 48 hours upon receipt of registration. 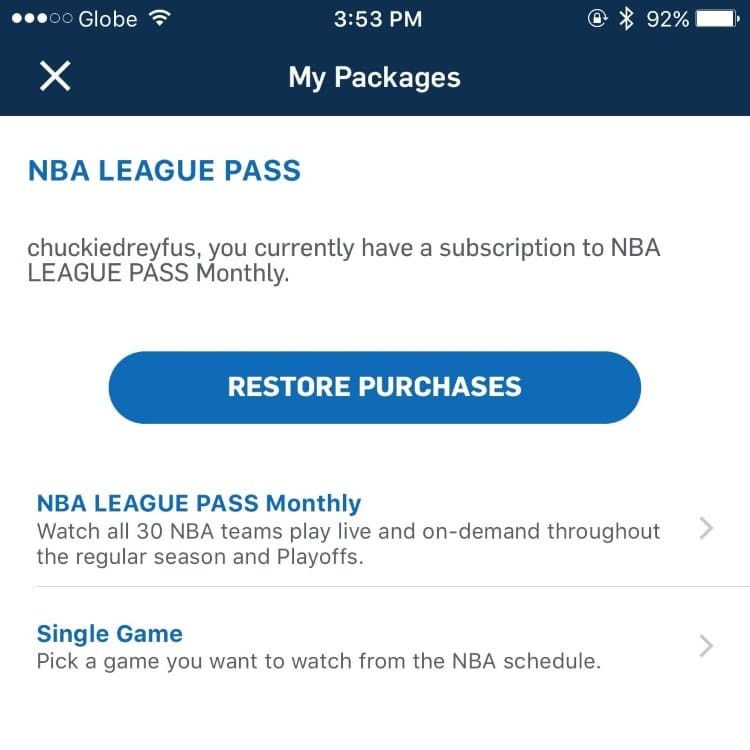 Step 2: After you receive your promo code, go to NBA League Pass Premium – Globe and choose “Redeem your 30-Day Code”. Step 3: First time users can create an account by using your e-mail address or via Facebook, while existing users can sign in using your account. You can then enter your promo code in the promotion box and submit in order to activate your NBA LEAGUE PASS. 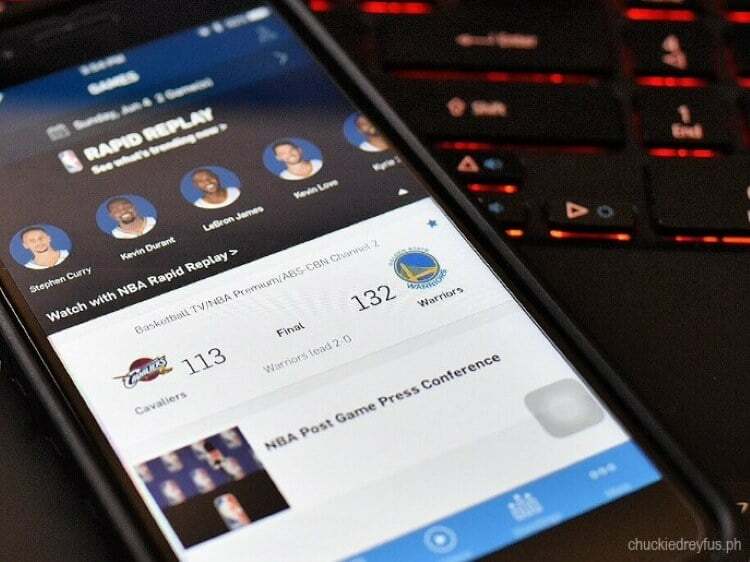 Those using their laptop or PC can watch the game via Watch NBA, while those using their mobile device can download the NBA app from the Apple App Store or Google Play. What I normally do is access NBA LEAGUE PASS using my smartphone then cast it to my UHD TV via Google Chromecast for a fully immersive experience. It’s incredible! And, oh! Apart from providing live coverage, users can also watch replays and in-game highlights on-demand with NBA LEAGUE PASS, as well as have access to the NBA archives, which has over thousands of hours worth of replays from recent seasons, classic games, special features, interviews, and documentaries. Awesome, right?! I’ll let you in on a little secret… Those who subscribe to Globe Broadband Plan 1299 and up until June 30 have SIX MONTHS OF FREE ACCESS to the NBA LEAGUE PASS. They can also complement this with speeds of up to 10 mbps and 100 GB worth of data allocation per month. If you’re an avid NBA fan like me, you’ve probably already realized that it doesn’t get any better than this! Believe me… you’ll thank me for it. So… will this be the season that Steph Curry and Warriors reclaim their crown? Or will the Cavs, led by King James, successfully defend their title? 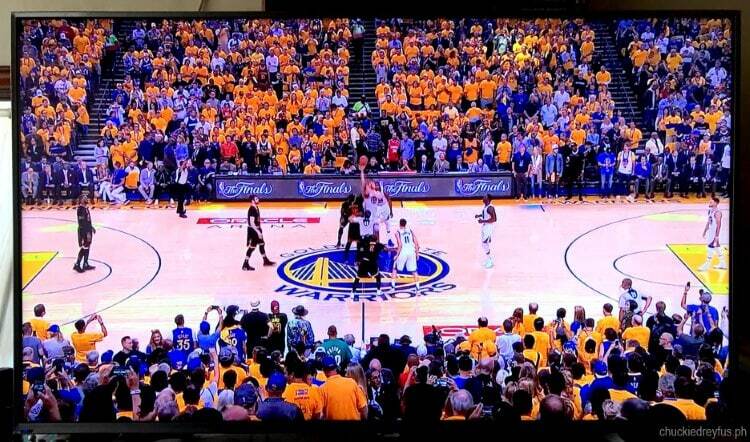 There’s really only one way to find out — by watching the NBA Finals as it happens! But if I had my way… Dubs all the way! Woot! 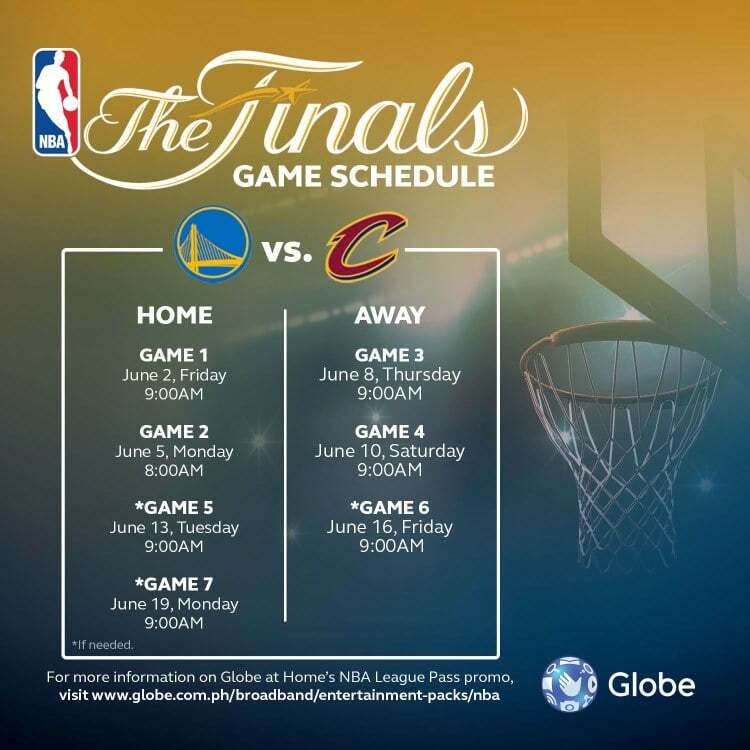 For more information on Globe at Home’s NBA League Pass promo, visit www.globe.com.ph/broadband/entertainment-packs/nba, call the hotline at 730-1010, or visit any Globe store. ‹ The AirAsia Red Hot Seat Sale is back! Fly from as low as P17! › Snow Crystal White Tomato for healthy, whiter and brighter skin!